What if we told you that cool glass of lemonade doesn’t just help you hit refresh; if had regularly, it can also give you glowing skin. In our Beauty Diets blog post, we told you how what you eat reflects in how you look. The same is also true for what you drink as your pH levels are regulated from your stomach. If your stomach is alkaline, with the right balance of acids, your skin will stay dewy with the right balance of oils. And what you drink, at what time, can really make a difference here. 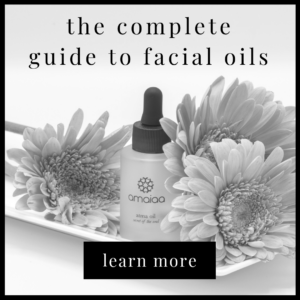 We, at amaiaa, believe in holistic beauty. For us, inner radiance is the road to elegance. Keeping that in mind, we’ve developed a luxuriant and aromatic energising white tea with jasmine silver needles and rose buds. This delicately-balanced fine tea is great for stomach health and promotes a sense of well-being. Rich in antioxidants, such as vitamins C and E, it has powerful anti-inflammatory and antibacterial properties, which are great for stressed skin and delay the appearance of fine lines. They also promote healing and help you relax. The amaiaa blend brings together a perfect balance of Jasmine Silver Needles and Pink Rosebud Tea. Our signature blend will soon be available for you to order. But till then, we put together a menu of seven great drinks that give your health a boost and your skin that enviable radiance. Your Drink Mix: Blend together 20ml aloe vera gel, the juice of 2 Indian gooseberries, a dash of wheatgrass juice or 1 teaspoon wheatgrass powder, and one pinch turmeric powder. Garnish with a basil leaf. Just one shot of this superfood infused drink can give your day a fabulous start! 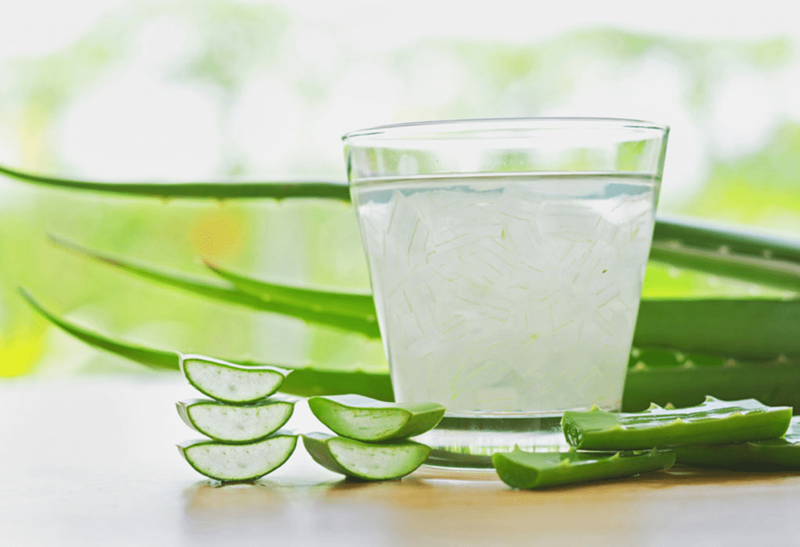 The super-hydrating aloe vera is a well-known skin saviour. When applied topically, this succulent can help heal as well as moisturise your skin. But few know it works even better from the inside. Its phytonutrients are great for a body and skin cleanse while the amino acids help repair them. Heading out into the sun? Studies have found that aloe vera works as a natural sunblock. Together with the antibacterial properties of turmeric, the vitamins A and E of wheatgrass and the vitamin C of the Indian gooseberry, this cooling drink heals from within, improves your complexion and boosts collagen production, keeping your skin younger, longer. Basil is excellent for skin issues like acne and dandruff. Just make sure the aloe vera you consume is certified organic and has been decolorized. Your Drink Mix: Put one cup of water to boil in a pan, and add crushed fresh cardamom to it. As the water comes to a boil, turn off the heat and toss in some green tea leaves. Cover for 2 to 4 minutes, to let the tea brew. Add 2-3 blanched, slivered almonds. This tea brew finds its origins in Kashmir, where it is called Kahwa. 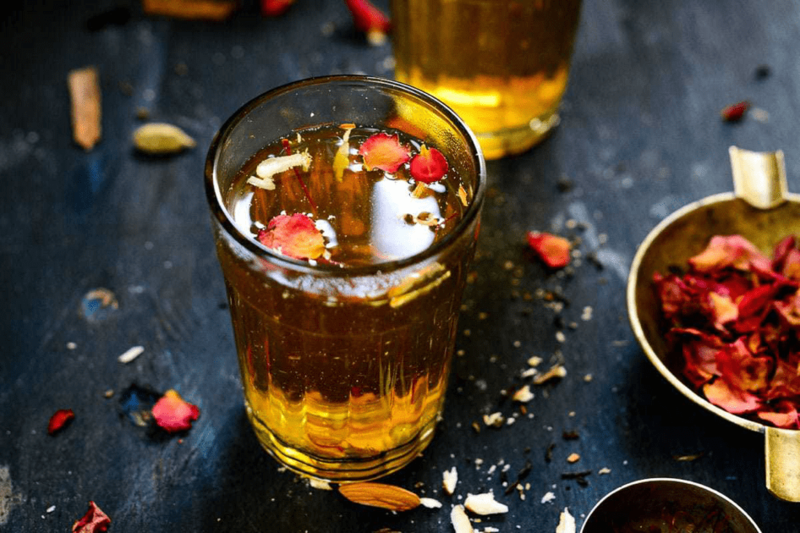 The traditional Kashmiri Kahwa, however, has many more spices and a combination of nuts, meant to provide warmth to the body in the extremely cold Kashmiri climate, making it a little unsuitable for warmer climes and temperature-controlled spaces. So we adapted this Indian classic to make it more suitable for every weather, while keeping all its goodness intact. A powerhouse of antioxidants, kahwa helps regulate your digestion and kick-start your metabolism, helping your skin clear up and improving skin cell regeneration. 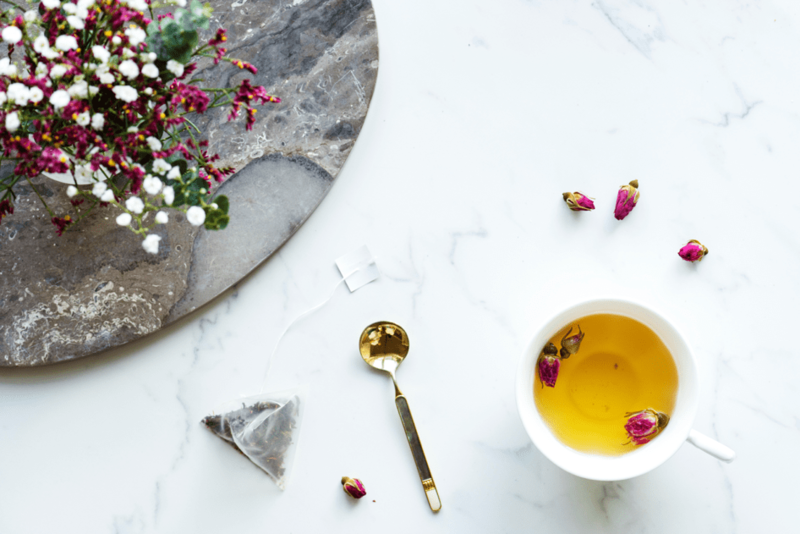 Tea helps fight off oxidative damage by free radicals, while the natural oils found in almonds make your skin supple and increase skin elasticity. The omega 3 fatty acids found in almond are also great for hair health, preventing split ends and breakage, while cardamom is known to boost blood circulation, to give you a healthy flush. Rosy cheeks, anyone? Your Drink Mix: Take 1 cup kale, ½ a cucumber, 2 stalks of celery, 1 small lemon (without the rind), 1 ripe banana, 1 tablespoon chia seeds, 1 teaspoon spirulina, 1 cup almond milk and 1 cup cold water. Combine everything and run it in a blender, for 2 servings of the Green Smoothie. 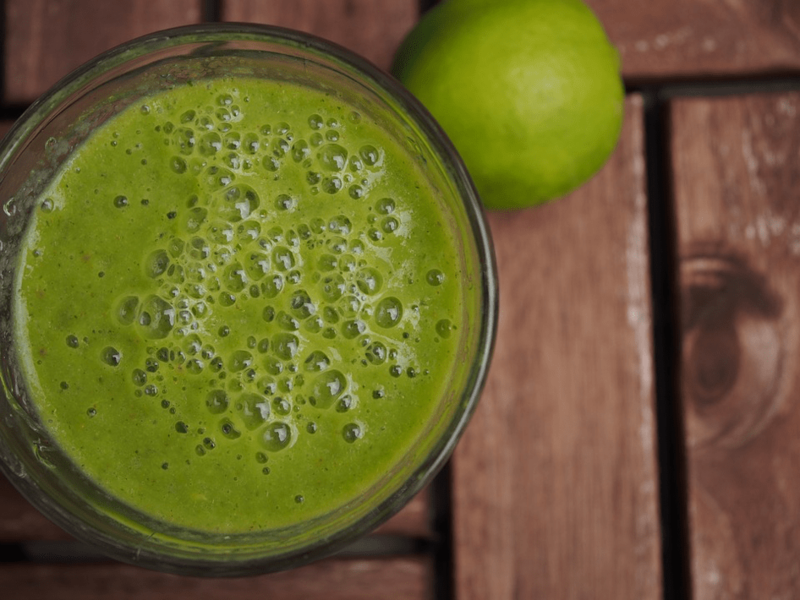 With lots and lots and LOTS of minerals and a smorgasbord of micro-nutrients, this smoothie makes for a great detox drink. Each of its ingredients is a known superfood, loaded with its unique combination of antioxidants, packing quite a punch into the smoothie. Together, they fight off the damage caused to your skin by free radicals in our body and in the environment. But different antioxidants act in different ways. Kale and spirulina are rich in plant proteins or amino acids, which are the building blocks of your skin, hair and nails, while chia seeds are high in omega 3s, fatty acids that help maintain the health of your skin, hair and nails. Banana, which gives the smoothie body (and some sweetness) is loaded with potassium and magnesium, which are essential to maintain regularity, and vitamins B6 and A, which protect your gut, skin and hair. Spirulina is also high on bio-available iron, which is easier for your body to process, and chlorophyll, which helps prevent breakouts and fight off acne. 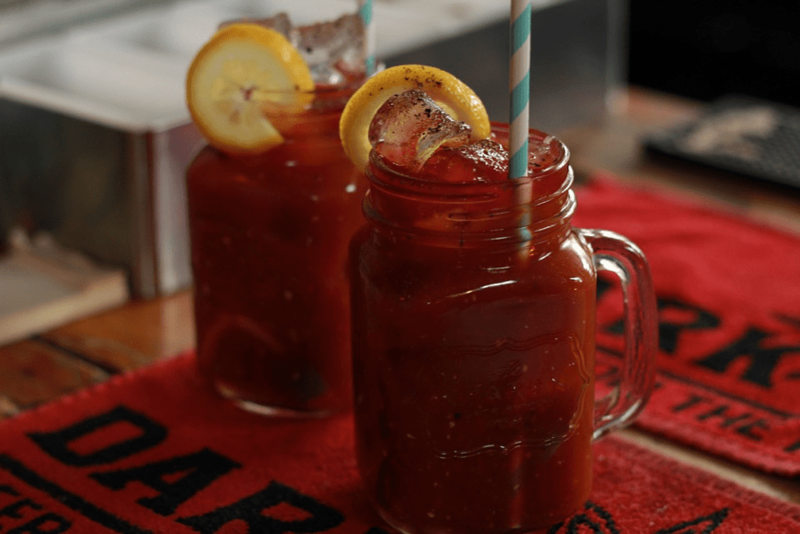 Your Drink Mix: Make a syrup using coconut sugar. While the syrup is still hot, add a few kaffir lime leaves and a piece of lemongrass to it. Let the mixture steep for at least an hour. When you are ready to have this refreshing drink, muddle the mixture in a glass and top it up with sparkling water and some ice, if you’d like. If you love a little extra bite to your drink, you can also add a couple of slivers of ginger to steep. 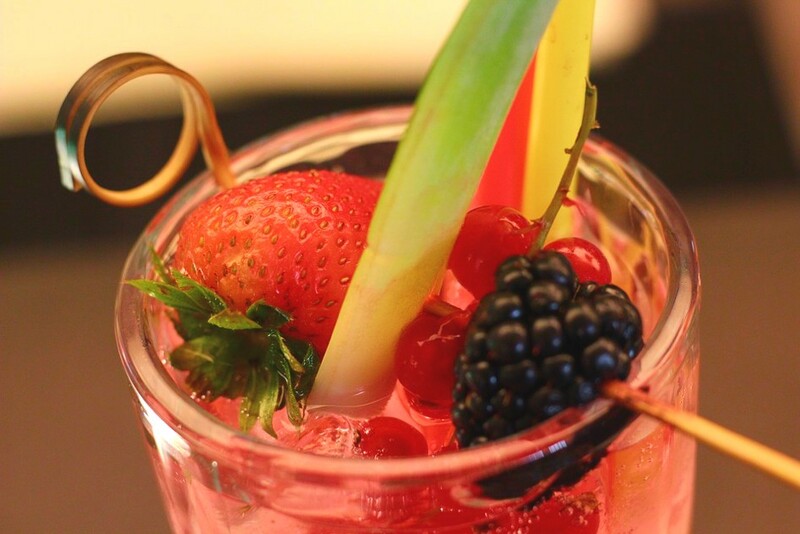 This refreshing mocktail doesn’t just cool you down, but also calms your skin! Kaffir lime has a unique combination of alkaloids and organic compounds—citronellol and limonene—that helps flush out toxins that would otherwise show up on your skin as acne or pigmentation. These compounds also help strengthen hair follicles while fighting off dandruff and other inflammations in the scalp and skin. Lemongrass is an antiseptic and an astringent, which only gives an added boost to the good work being done on your skin by kaffir lime. Together, the two can calm down an irritated tummy while helping you relax and even sleep better—the most important ingredient in that glow! Your Drink Mix: Put one cup water in a pan and bring to boil. Add a few slivers of ginger, one stick of cinnamon and half a teaspoon of fresh, ground turmeric to the water. Let simmer for 5 minutes, then take it off the heat. Add a dash of lemon and strain it into your cup. 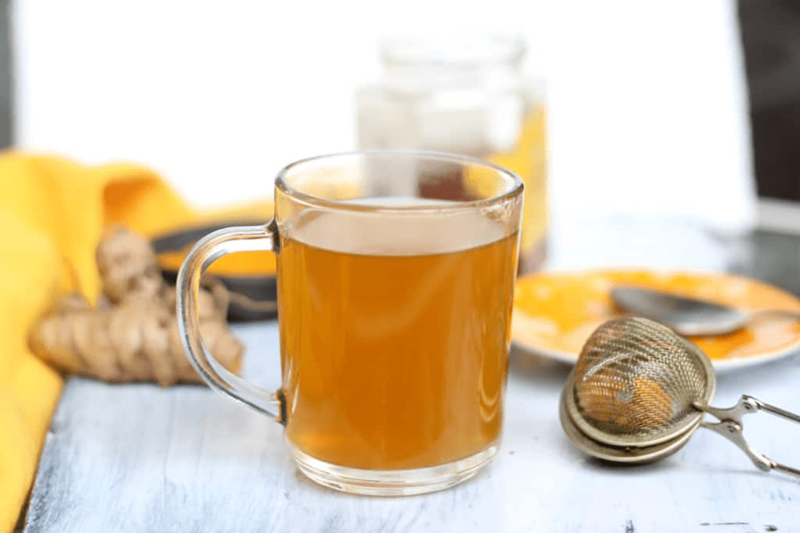 This golden combination of turmeric, ginger, cinnamon and lemon is literally wellness in a glass. From a sore throat to cracked heels to damaged skin, turmeric can fix just about anything. The same holds true for ginger, which has as many as 40 different kinds of antioxidants, each with a different skin benefit, from preventing acne to smoothening out blemishes to easing out fine lines. Ginger also helps manage glucose levels, which is fantastic for those with glycation-related pigmentation—too much sugar can show up as dark, scaly skin around the neck. Instead of scrubbing your skin sore, cut back on the sugars and take a sip of this comfort drink. Cinnamon protects your skin against infections and inflammation, while lemon protects against damage from free radicals, maintaining your body and skin’s pH levels, delaying the signs of aging. Your Drink Mix: Blend together one small tomato, a medium beetroot, one stick of celery and salt and lime juice to taste. Serve in shot glasses. 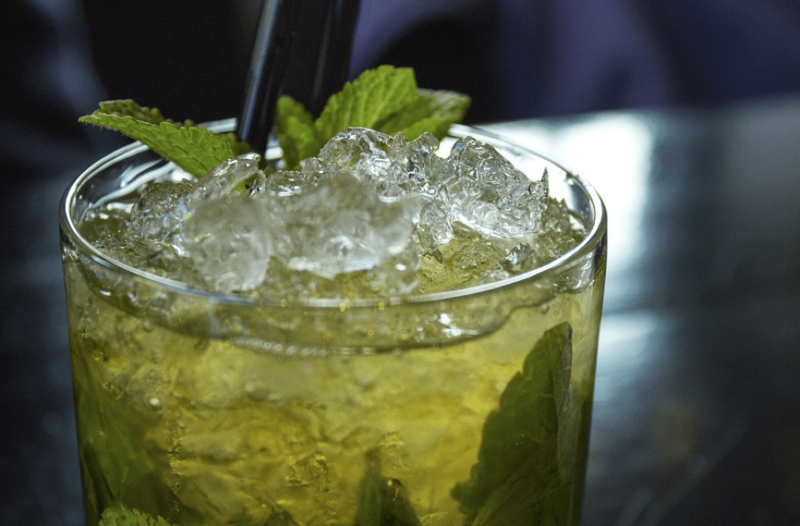 You can garnish with crushed mint leaves. In India, the combination of beetroot and tomato is a favorite Grandmother’s beauty recipe. The ancient belief is that each food gives you the special qualities that its known for—in this case, the rich red colour. Moreso, modern medicine seems to back the claim, too. Tomato is the richest source of an antioxidant called lycopene, which is a skin brightener. It helps treat blemishes, pigmentation and sunburn, giving you clear skin. Beetroot is a blood cleanser, which helps detoxify, and is a rich source of iron, responsible for that healthy blush. Celery is high in magnesium, which is important for good sleep, and in vitamins C and K, which also help reduce fine lines and pigmentation. In addition, all three ingredients are high in water, keeping your skin well-hydrated, so important to keep your skin look bright and supple. Your Drink Mix: Combine equal parts pomegranate juice, coconut water and sparkling water. You can add ice, if you’d like. Garnish with a slice of lime or a sprig of mint. 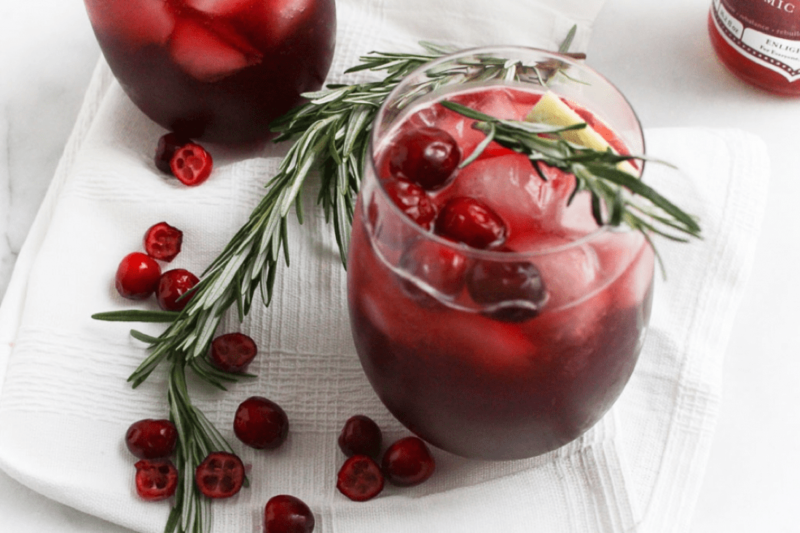 Did you know, pomegranate juice has three times as many antioxidants as red wine or green tea? According to studies, the juice of one pomegranate can meet up to 40% of your daily requirement of vitamin C, the holy grail of antioxidants and skin food. Important in maintaining skin elasticity and a clear complexion, vitamin C also helps stave off fine lines and wrinkles, and boosts your immunity, which helps your skin fend off environmental damage from dust, pollution and sun. It is also a rich source of vitamins E and K, folate and potassium, which help keep your skin’s moisture intact and protect your hair follicles against breakage and split ends. Coconut water is the best form of electrolytes you can lay your hands on. Not only does it protect you against dehydration, it also keeps your skin soft, supple and smooth! We hope you try these drinks and enjoy them as much as did putting our top favorites together for you. Find your natural glamor inside out. Beauty is how you feel inside, and it reflects on your skin.